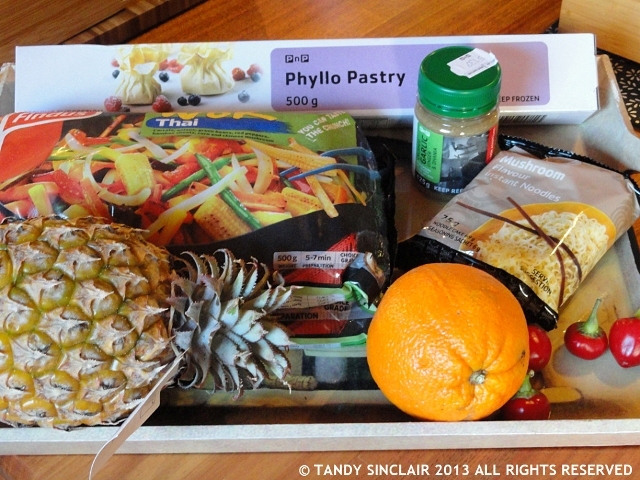 Our first challenge for Freshly Blogged was to come up with a vegetarian dish using 2 packets (500g each) of Findus Wok Thai vegetables. The challenge was aptly named Frozen Assets and I can tell you that these Findus vegetables are indeed a frozen asset and will be a standard stock item in my freezer from now on. The were tasty and crunchy and had I not known they were frozen I would have sworn they were freshly picked. For many years I was a vegetarian and eating out was a challenge. Restaurants would serve up the vegetable side dishes with a baked potato and call it a meal, and my friends would just dish up the vegetables they had cooked to go with the protein, often cooking them together in one dish. I know that vegetarians like to be served a real meal when eating out and I wanted to come up with something that would look like a decent plate of food. 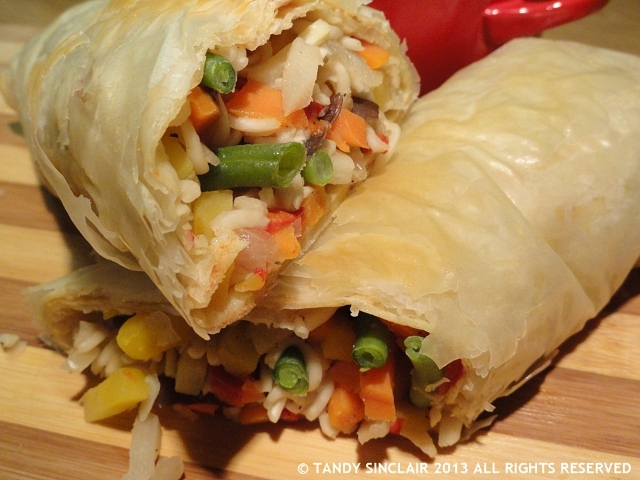 I have a few vegetarian readers on my blog and I hope that my vegetarian wellington served with a pineapple and chilli relish ticks all the boxes for them. I know that if I ordered this in a restaurant I would be extremely satisfied with the meal. I also wanted to create a dish that could double as a vegetable side dish so that meat eaters will make this at home. Disclosure: This challenge was sponsored by Findus for the Freshly Blogged Challenge. This post is in line with my blogging policy. These look really attractive and very tasty, Tandy. What a truly appetizing recipe, Tandy! So special & alternative too! Waw even! MMMMMMM! It looks truly fantastic too! I am constantly put-off by the vegetarian entrees that people come up with. Honestly, they can use some real help. Looks like a very sustaining and delicious vegetarian main dish. I’d never used the Findus frozen vegetables either and they were much better than I’d expected. Saves an awful lot of chopping and shredding! What a unique and flavourful recipe! Best of luck Tandy. Just voted – I was voter number 15. 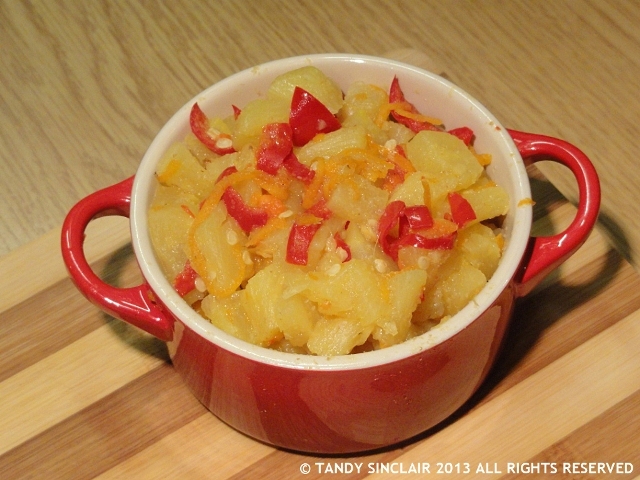 Pineapple and chilli relish? Delicious!